Russia is all set to initiate negotiations regarding the ongoing political and humanitarian crisis in Venezuela with the United States in accordance with the UN charter, the Russian Foreign Ministry said on Saturday. Xinhua news agency cited the press statement released by the Foreign Ministry saying that Russian Foreign Minister Sergei Lavrov discussed the situation around Venezuela with US Secretary of State Michael R Pompeo during a telephone conversation. "In connection with Washington's proposal to hold bilateral consultations on Venezuelan issues, it is indicated that we are ready for this, but it is necessary to strictly follow the principles of the UN Charter since only Venezuelans have the right to determine their future," the statement said. On February 28, the UN Security Council failed to adopt two draft resolutions on Venezuela, sponsored by the US and Russia respectively. Following talks with Acting Vice President of Venezuela Delcy Rodriguez, in Moscow on March 1, Foreign Minister Sergey said in a statement, "We are in complete agreement on the need for unconditional adherence to the fundamental principles envisaged in the UN Charter by all states without exception - non-interference in other countries' domestic affairs above all. It is especially important today when the entire world can see the cynical campaign that aims to topple the legitimate Venezuelan government, including by threatening it with direct military intervention." "Russia has consistently spoken in support of the exclusively peaceful resolution of internal Venezuelan problems. 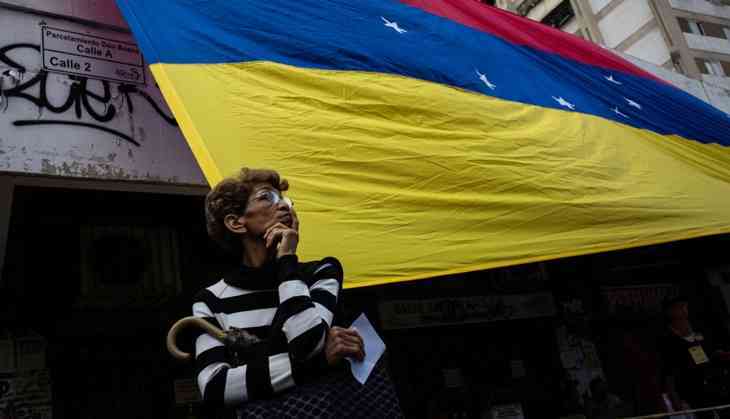 It is obvious that Venezuelans must independently take steps to fix the current situation without instructions, pressure or ultimatums from the outside," the statement read. "We have expressed our solidarity with the friendly Venezuelan people and our support for the measures taken by Nicolas Maduro's government to prevent further destabilisation. We have reaffirmed our readiness to join in the efforts of regional and international mediators calling for an inclusive national dialogue. As I have said, we will be ready to join in given the consent of the main political forces in Venezuela," the Foreign Minister added to the statement. The US and Russia have been blaming each other for the worsening political and economic situation in Venezuela. While Washington openly supported self-proclaimed interim president Juan Guaido, Moscow and Beijing are more inclined toward President Nicolas Maduro.